Our product range includes a wide range of Tubular Terminal Ends such as Heavy Duty Copper Tubular Terminal Ends and Light Duty Copper Tubular Terminal Ends. 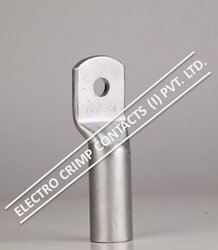 We are among the pioneers in the industry, bringing forth Heavy Duty Copper Tubular Terminal Ends for our valuable customers. The offered terminal ends are made available by us in several dimensions to fulfill the diverse requirements of the customers. With their flawless surface finish, these terminal ends are highly resistant to corrosion. Customers are reasonably priced for these terminal ends. We are one of the renowned providers of a comprehensive range of best quality Light Duty Copper Tubular Terminal Ends to our clients. Manufactured using premium grade raw material and hi-tech machinery, these products are of optimum quality. 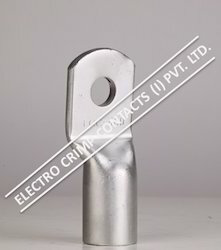 Copper Tubular Terminal Ends Light Duty can be availed by our clients in most competitive prices. Looking for Tubular Terminal Ends ?